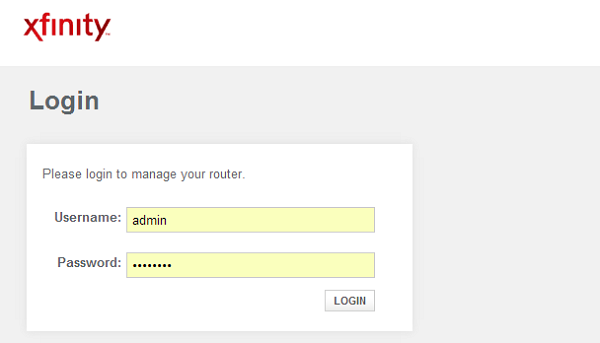 Sign in to your router admin control panel with the 10.0 0.1 Default Gateway IP address. The 10.0.0.1 IP address is a private internet protocol, which often serves as the Default Gateaway for a network router, allowing users to access its control panel. This particular address is most commonly seen in business networks, although it may sometimes be used as the Default Gateway for home networks as well. 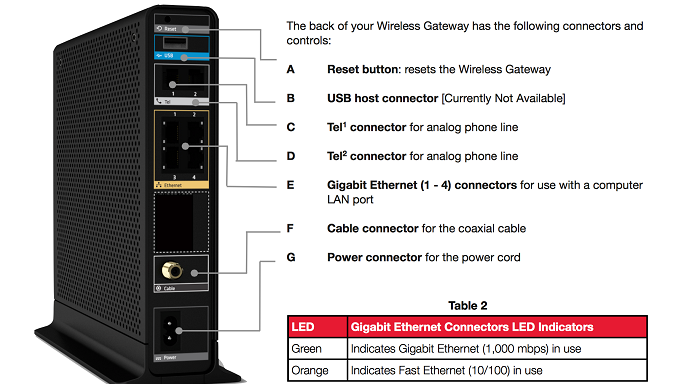 By accessing the control panel, users can make adjustments to network or router settings. If a router uses this particular IP address as its Default Gateaway, other devices connected to the router will typically also be allocated a similar address, such as 10.0.0.x, with the ‘x’ being replaced by a number from 2 upwards. How Do I Log In to My Router With the 10.0.0.1 IP Address? In order to access the 10.0.0.1 router login screen, the first step is to ensure the device you are using is connected to the router, either through Wi-Fi or through an Ethernet cable. You should also make sure that the router definitely uses that particular IP address as its Default Gateway. From there, open up your web browser of choice and type: http://10.0.0.1/ into the address bar, then press ‘Enter’. This will work on all major browsers, including Internet Explorer, Google Chrome, Firefox, Opera and Microsoft Edge. Do not include the “www.” prefix or any suffix, such as “.com”. Assuming you have the right Default Gateaway IP address, you should now see a login box. Simply enter your username and password, and you will gain access to the control panel. The default username and password are usually included within the router’s instructions, or are written on a sticker on the router itself. In the USA, it is typically Xfinity, Comcast and Cisco routers that are set up with 10.0.0.1 as the default gateway. If your service provider is Xfinity, the login page should look like this screenshot. I Have Forgotten My Router Admin Username and Password – How Do I Find or Reset My Router Login Username/Password? If you are unsure of what your username and password are, the best place to start is by trying the default username and password for your router model. Check the router’s manual, or look for a sticker on the back or the bottom of the router itself, as the login credentials are usually provided in one of these locations. In the event that you are unable to find the default username and password in either of those two places, you could search online for them. A Google search for the model name followed by “default username and password” will usually return results. Alternatively, you could try entering some of the most common combinations. We have provided a list for you to work through lower down this page. On the other hand, if you changed your username and password in the past, but have since forgotten them, the best option is to reset your router to the factory settings, which will allow you to use the default username and password. The precise method for resetting the router will vary from one model to another, so look in the manual for instructions. Typically, it will involve pressing a small ‘Reset’ button on the device, which can usually be done by using a pin, pen or pencil. In many cases, the button will need to be held in for around 10 seconds. Once the username and password have been reset, follow the instructions above to find them and log in. If you want to reset your router to its default seetings (password and username) it involves finding and pressing a small ‘Reset’ button on the back of the device, which can be done by using a pin or pencil. You will need to hold down the button for atleast 10 seconds. On this image (Xfinity router), the reset button is marked with “A”. In general, the button cannot be pressed accidentally, you will have to use a pointy object. Why Can’t I Log In to My Router Admin Page? – Router Login Troubleshooting. Occasionally, users may encounter other difficulties when attempting to sign in. If the login box does not appear after entering the IP address, it could be that your router uses a different Default Gateway than the 10.0.0.1 IP. The most common alternative addresses include: 192.168.1.1, 192.168.0.1, 192.168.2.1 and 192.168.1.254. When entering the IP address, remember to avoid entering “www.” at the start, or suffixes like “.com”, “.net” or “.co.uk” at the end, as these will prevent the login box from appearing. You can use the “http://” prefix, although most browsers will include this automatically. You cannot use alternatives, such as “https://” as they will not work. So, both 10.0.0.1 and http://10.0.0.1 will work in your browser address bar. The most common mistake is a mistyping of the 10.0.0.1 IP address in your browser’s address bar. For example, “1” is often misstyped as the letter “l” , and the number “0” is frequently typed in as the letter “O”. All Full Stops must be included, as well. Therefore entering either: 10.0 01, 1o.o.o.1, 10.0.0.l, 10.0 0.0 1 or 10.0 0.1 will result in an error or time-out message. The only correct versions are: 10.0.0.1 and http://10.0.0.1. If you know the username and password combination, but it is not working, double check that you have typed the information correctly. Remember, login credentials will usually be case sensitive, so pay attention to your use of upper and lower case letters, and make sure the CAPS LOCK and NUM LOCK are switched off on your keyboard. Finally, you should double check that your router is plugged in and working, and that your device is actually connected to it. If you are using Wi-Fi to connect to the router, you could also try connecting via an Ethernet cable instead. Should the problems persist, you may wish to try a different web browser, or a different device entirely. Default Router Usernames and Passwords for Routers using the 10.0.0.1 IP Address. We have added the most common default usernames and password (Factory Settings) for routers that use the IP addresses: 10.0.0.1, 10.0.0.2, 10.0.0.138, 10.0.10.254, 10.0.1.1 or 10.0.0.140. What Are the Most Common Default Router Admin Usernames and Passwords? If you still cannot log in or you are unable to find the default login credentials for their router, it may be necessary to try some of the most common usernames and passwords. Although there will be some trial and error involved, you may gain access. Below, we have compiled a list of some of the most frequently used username and password combinations. Note: [none] means the field should be left blank. Username and password combinations are usually case sensitive and the default credentials will usually be in lower case. However, occasionally, the first letter of the word or the whole word may be upper case. Therefore, if you are not having any luck with the above combinations, try again using upper case letters instead. 10.0.0.1 Router Login – The 10.0 0.1 Default Gateway. Thanks a lot for the help! I didn’t know my default password, but your list helped me out. All woking great now.